In Japan Jizo is a symbol for children and travelers' guardian. 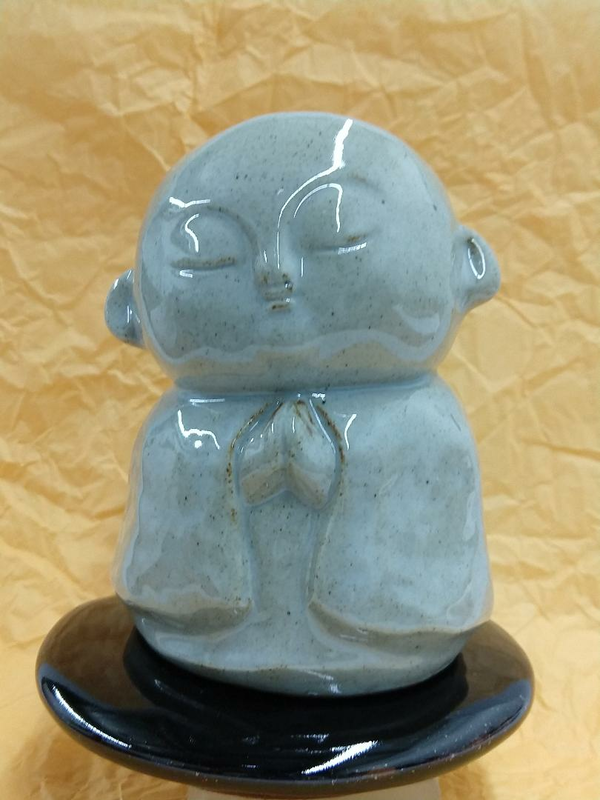 This grey benevolent ceramic Jizo incense burner has a contrasting black base with an indented space for an incense square. A peaceful addition to any space. 5 1/2" in height.